Prior to the 1990 gun free zone act of 1990, signed into law by George H Bush the United States has always had a history of guns in schools but the guns being fired in the schools or on school grounds have a common thread the persons doing the shootings have been persons being told the word No or bad grades and then demanding the grades be changed. For along time its been people who have never heard the word no being told to them, for they have always had their way from being raised by parents who refused to teach them properly and that included the word no being told to them. With the advent of students being bussed to schools away from where they lived to make sure that schools were racially balanced in the 1970’s led to students not being surpervised by their parents or their parents being able to attend parent-teacher meetings. As schools aged, they were not maintained as they should have been which led to bigger schools being built to handle larger student bodies. The parkland school that is in the news currently has 3,158 students versus 125 teachers and staff employees. As schools have grown larger and the staff to student ratio has increased so has the likelihood of minor violence to extreme violence grows. During the 1970’s the average graduating class size ranged from 85 to 150 students, in 2017 the average high school class graduating is nearly 1000 to 1500 students. Going from roughly 14 students per staff member to close to 40 students per staff member. We need to go back to neighborhood schools where the parents have a greater input on a students life instead of sending them off to the high school factories where their parents have less impact in their lives. It would be better spent on local neighborhood schools than a school busing system budget that is nearly the same size as the entire school district budget. cell phone), prescription taxes, doctors office visits. would notice except for the federal employees union would. deductions. Total taxes that I was paying each month was 1600, I was paying 61% of my income in total taxes……. it will help with my retirement when I do retire. federal budget 2007, less than 10 pennies on 100 dollars was lost on each federal agency budget……. and expects others to pay for his life style. But like all democrats they are all show and emotions but no substance or ideas to actually solve a problem…. 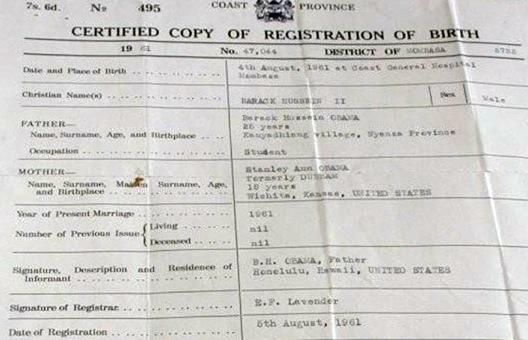 ” Barack Hussein Obama II General Hospital , Mombasa , Kenya where Obama was born a few hours later at 7:21 pm on August 4, 1961(what a sad day for the USA !). 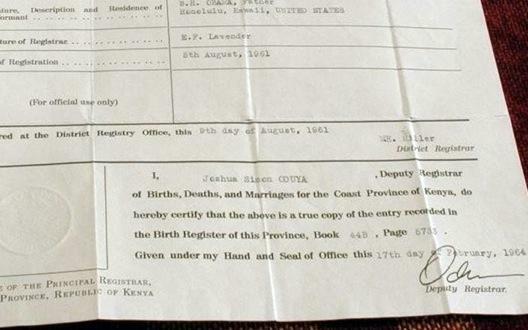 Four days later his mother flew to Hawaii and registered his birth in Honolulu as a certificate of live birth which omitted the place and hospital of birth.” Well, well, well . at last the ‘real’ thing. Now, what will happen? Whom do you believe? This man should be impeached-now! Now if only someone in Congress or the Supreme Court will act on this! 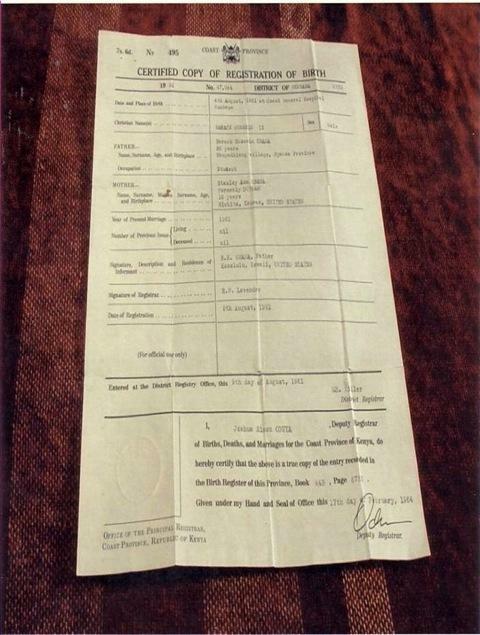 If these documents are as authentic as they certainly seem to be, Obama is NOT qualified to be our President and he sits in the White House illegally! I encourage anyone to come here and visit. I will be happy to take you and show you the pictures at the hospital myself as well as my document and many others that are identical to what Taitz posted. God Bless. Kitau.” So, how much more proof do we need? 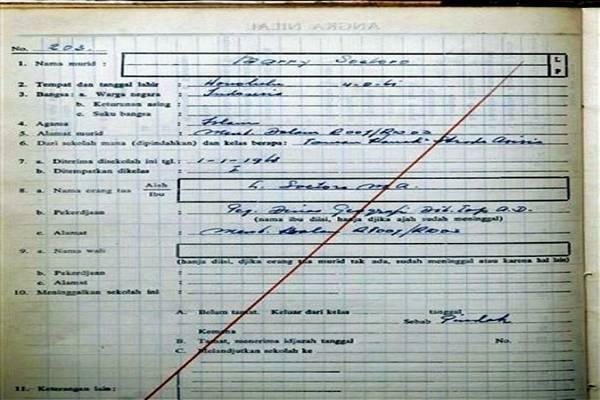 WELL, HERE IT IS: Lolo Soetoro, Stanley Ann Dunham Soetoro, baby Maya Soetoro, and 9-year-old Barry Soetoro. 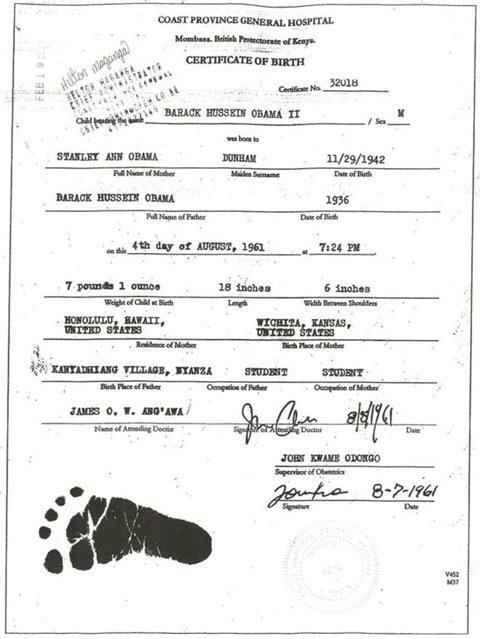 Obama’s Past, He Is A Sexual Predator!!!! During Barack Obama’s tenure as the president of the Harvard Law Review in the late 1980s, at least two male student editors complained to colleagues and senior university officials about inappropriate behavior by Obama, ultimately leaving their positions at the journal, multiple sources confirm to THE KANSAS CITIAN. The men complained of sexually suggestive behavior by Obama that made them angry and uncomfortable, the sources said, and they signed agreements with the university that gave them financial payouts to leave the journal. The agreements also included language that bars the men from talking about their departures. A third former editor says he considered filing a workplace complaint over what he considered aggressive and unwanted behavior by Barack Obama when he worked under the president in the 1991 at the University of Chicago. He says the behavior included a private invitation to his apartment. He worked for the University of Chicago when he was a Visiting Law and Government Fellow. He told The Associated Press that Obama made sexually suggestive remarks or gestures about the same time that the two editors of the Harvard Law Review had settled separate harassment complaints against him. The employee described situations in which he said Obama told him he had confided to colleagues how attractive he was and invited him to his apartment outside work. He spoke on condition of anonymity, saying he feared retaliation. The White House declined to comment.